With the release of new iPhones and iPads, Apple has retired the somewhat defensive ‘Why iPhone’ and ‘Why iPad’ web campaign. It makes sense: Tim Cook & Co. probably think others should now defend themselves against the new iPhone 5s and iPad Air. Fans will recall both of Apple’s web pages gave undecided customers plenty of reasons to consider an iPhone and iPad over competing products, citing – among other reasons – rampant Android malware and high satisfaction scores by J.D. Power. On the other hand, the removal of J.D. 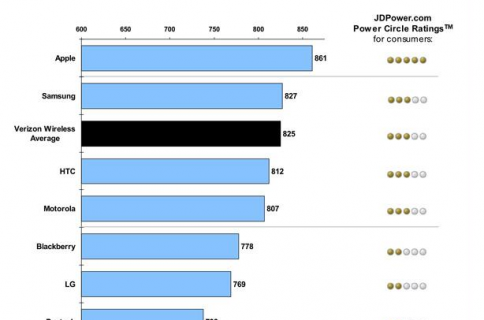 Power scores from Apple’s web site could easily have everything to do with J.D. Power’s last week tablet scores giving Samsung the top tablet ranking even though the South Korean company won only on price. 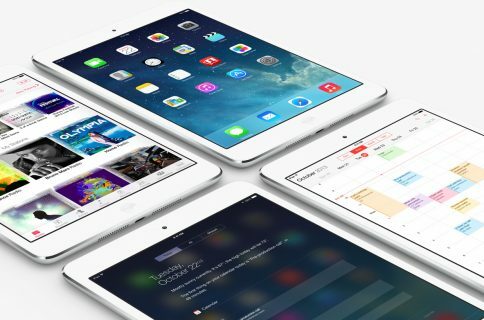 The results of that survey have sparked a heated debate and prompted some tough questions among the Apple faithful because the iPad clearly bested Samsung in all of the remaining five categories: Overall Satisfaction, Performance, Ease of Use, Physical Design and Tablet Features. As I wrote on Twitter three days ago, Samsung won only in the price category while Apple slightly edged out its competitor in more important metrics such as Performance and Ease of Use. Yet, despite the lower scores in all but one category (again, price), J.D. 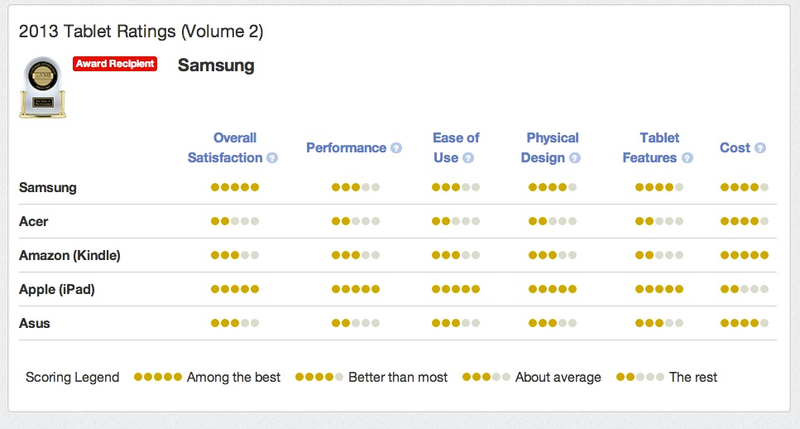 Power gave Samsung Apple’s crown in its 2013 U.S. Tablet Satisfaction Study – Volume 2. 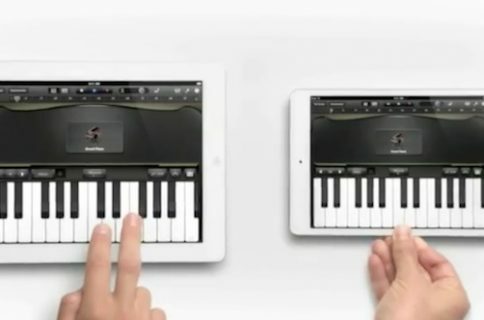 The iPad maker finished a mere two points behind Samsung with a score of 833. In this study, the score is comprised of customer’s ratings of five key dimensions or factors. To understand the relative rank of brands within each of these five dimensions we provide consumers with PowerCircle Rankings, which denote the brand that has the highest score within each factor regardless of how much higher their score is. In the case of Apple, although they did score higher on four out of five factors measured, its score was only marginally better than Samsung’s. At the same time, however, Apple’s score on cost was significantly lower than that of all other brands. As such, even though its ratings on other factor was slightly higher than Samsung’s, Apple’s performance on cost resulted in an overall lower score than Samsung. I’m not buying the argument. According to J.D. Power’s press release, price was the least important factor in that study. The five key factors in their order of importance: performance (26 percent), ease of operation (22 percent), styling and design (19 percent), features (17 percent) and cost (16 percent). The 2013 U.S. Tablet Satisfaction Study–Volume 2 was fielded between March and August 2013 and is based on experiences evaluated by 3,375 tablet owners who have owned their current device for less than one year. The company wouldn’t release the actual scores and weightings to prove its point, leaving room for speculation. It’s true that Apple only narrowly beat Samsung in some of the categories, but what about the Performance and Ease of Use scores where Apple won hands down with a two-circle difference in each category? Concerning pricing, Matthew Panzarino of TechCrunch noted that Apple charges twice the Samsung amount to double the onboard iPad storage, a hundred bucks versus $50 for Samsung. Also important, Apple rarely discounts its tablets, which can’t be said for Samsung which tends to bundle free tablets with its other more expensive products as a way to grow sales. One thing’s for sure – you won’t be seeing JD Power endorsement on Apple’s web page going forward. 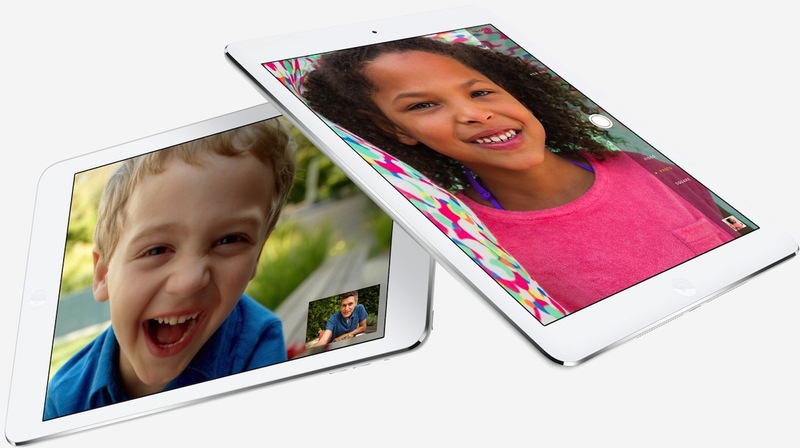 Back in April, Apple topped JD Power’s tablet satisfaction scores for the second time. Specifically, the iPad came in first with a score of 836 on JD Power’s overall 1,000-point TabletIndex Rankings. By comparison, Amazon scored 829 versus the study average of 828 points. Samsung placed third (822), followed by Asus (818) and Acer (782). What was your initial though on the latest J.D. Power scores? Were you surprised that Apple lost to Samsung despite winning in all but the lone category – cost – one which has the least importance? And how do you comment the table top of post? Note that it represents a rough approximation of the actual per-category scores given to the brands, because J.D. Power won’t release the actual numbers? And what about Samsung getting a 5/5 score in overall satisfaction despite never receiving a 5/5 score in any of the metrics?